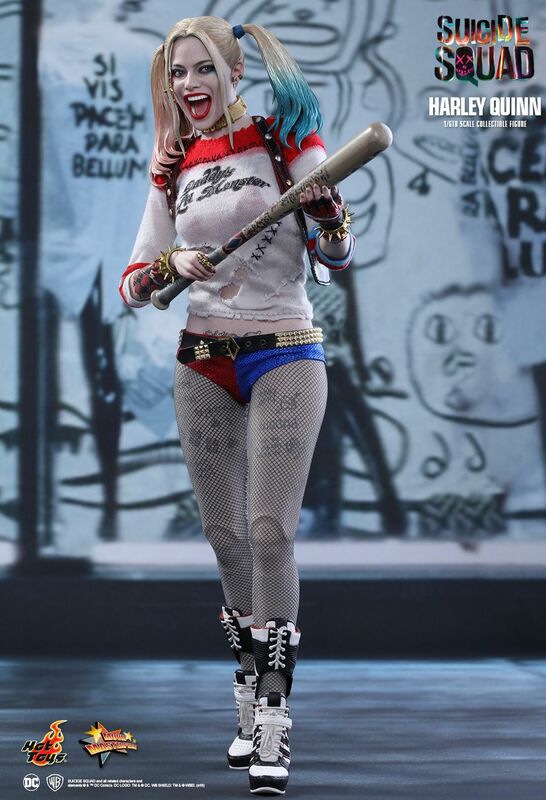 The eagerly awaited DC Comics' upcoming blockbuster, Suicide Squad, is finally hitting theaters around the world soon. 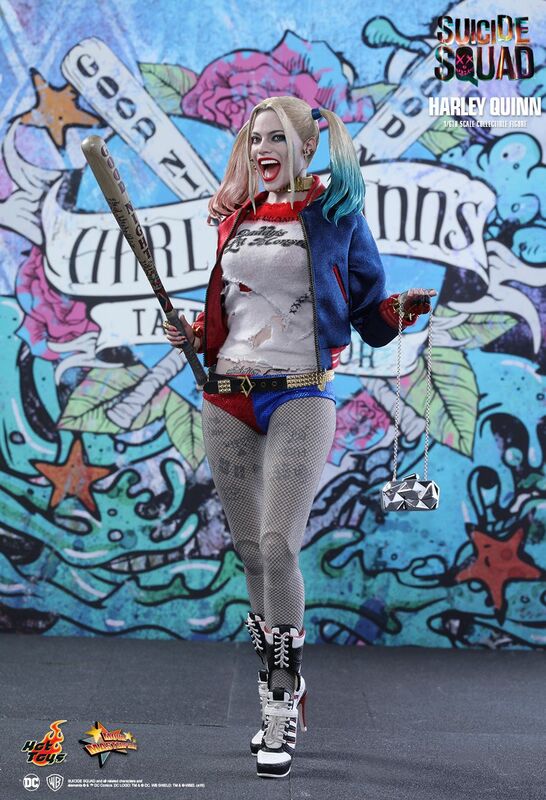 Fans can’t wait to see their favorite female villain Harley Quinn on the silver screen having her in action as a member of the suicide squad the secret government agency recruited and her relationship with the psychotic Joker. 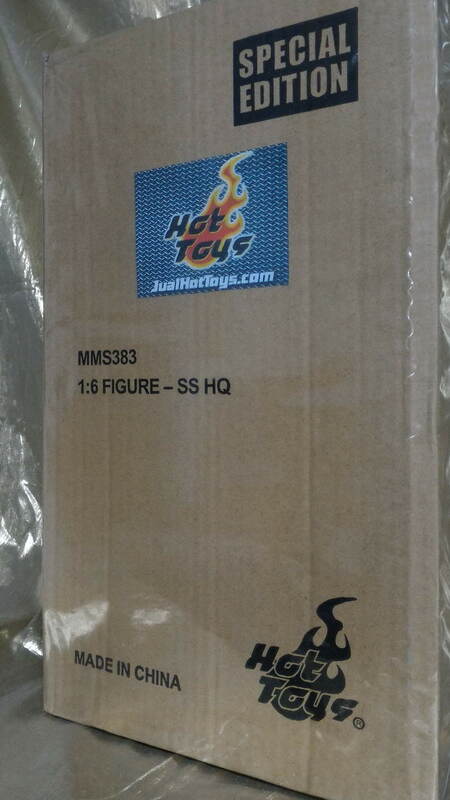 Now Hot Toys is extremely thrilled to officially present the highly anticipated1/6th scale collectible figure of Harley Quinn! 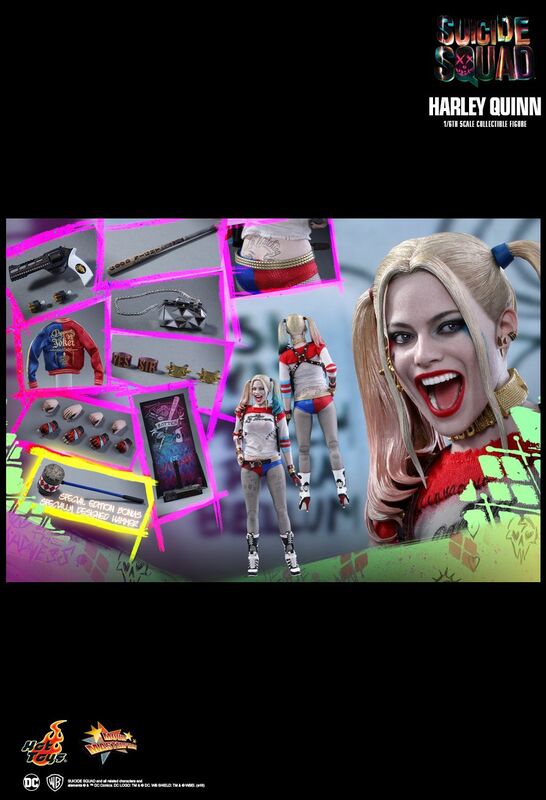 The movie-accurate collectible figure is specially crafted based on Margot Robbie’s image as Harley Quinn in the film. 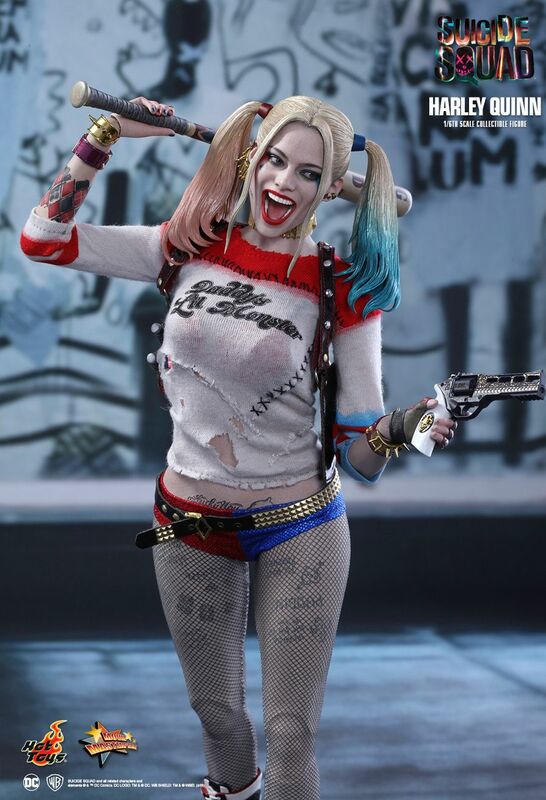 It features a newly sculpted laughing expression head sculpt with moveable ponytails and make-up, an all-new specially developed body for Harley Quinn with a large variety of tattoos all over her body, finely tailored costume, and a specially designed Suicide Squad themed figure stand with character backdrop. A Special Edition only available in selected countries will specially include a hammer as bonus accessory. 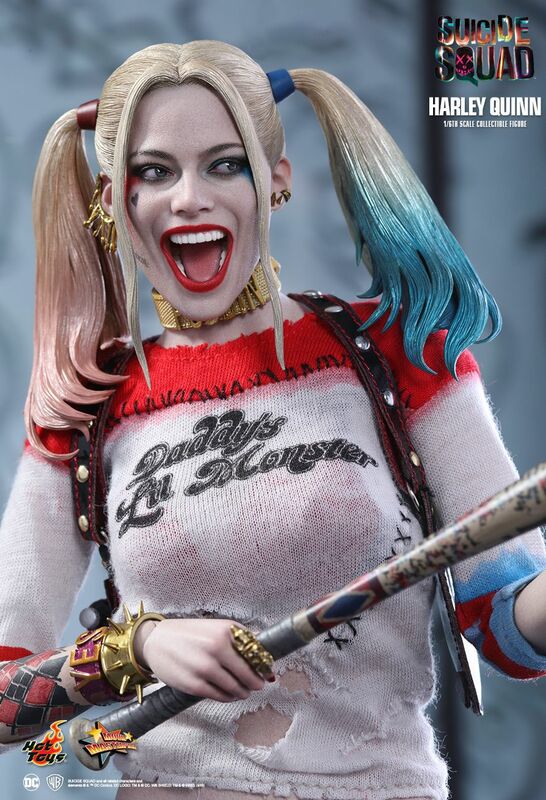 Hot Toys fans shouldn’t miss the chance to add the widely beloved Harley Quinn to your DC Comics collection!